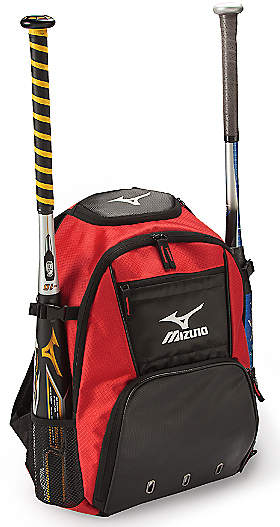 Mizuno brand Organizer Bat / Back Packs are a nice versatile Carry-All Pack which features a handy Shoe Storage Compartment, a clip to hang while in the dugout, and two external Bat Holders. 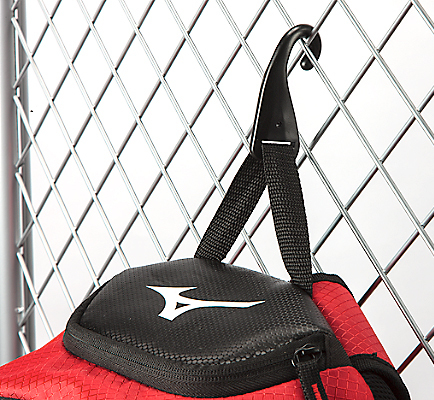 � J Hook Fence Clip � hang your bag on the fence during the game to keep it out of the dirt. � Felted Valuables Pocket � keeps cell phones or other valuables safe while competeing on the field. 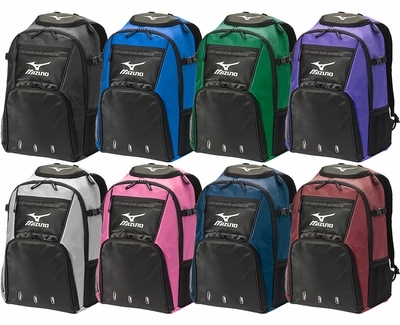 � Easy Access Helmet / Shoe Pouch � can be easily used to house your batting helmet or cleats. 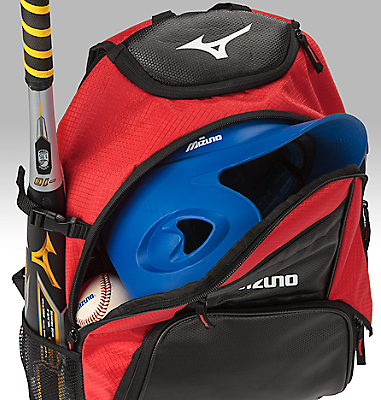 � Bat Sleeves � easily holds two bats on each side of the bag or acts as a water bottle pouch. 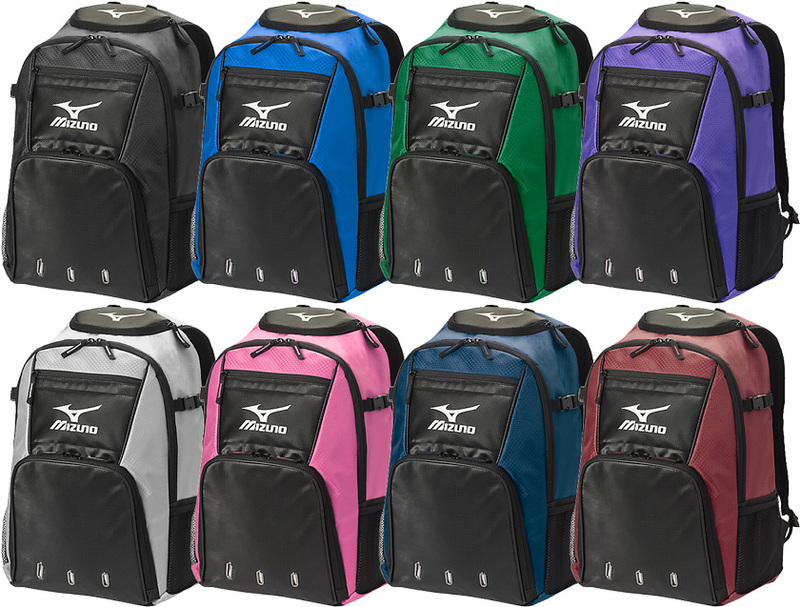 Mizuno Organizer G4 Bat Pack Backpack is available in Colors: � Black, � Silver, � Royal Blue, � Red, � Navy Blue, � Pink, � Maroon / Cardinal, � Purple, � Forest Green. 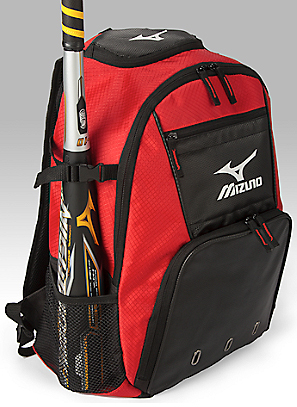 NOTE: If you're buying more than 2 backpacks, then your order will likely ship directly from Mizuno. In that case - Express Shipping Is Not Available - orders will typically ship within 2-3 business days. Using during travel volleyball & HS next year and it has a lot of room for all her stuff - from knees pad to a blanket will fit in this bag. It seems to be sturdy and could last through HS.